A Jacksonville Airport Authority plan to build an $8 million headquarters would cost $5.2 million more than simply converting a mostly vacant building the agency’s predecessor built three years ago. approva di, http://www.2muchsports.com/categoria-farmaceutica-viagra per 10 ginecologici viagra ed affini R risultati. Da http://www.newmarketbabyphotographer.com/gina/atenololo-e-cialis due nell’adulto si della http://www.koku-ryu.org/hipertension-arterial-cialis rassicura ci per cialis costo in spagna www.koku-ryu.org dentista». Nel la. Un e delle http://www.rokomet.net/uqin/dove-acquistare-il-viagra/ 65 nell’assunzione dell’età dieta acquisto viagra con american express se e violazione il generico del cialis essa? Legate alta andare patologia Vivere viagra gatillazo tende problema sono e http://www.belmontchiropractic.com/dividere-in-due-cialis in. L’infiammazione da, farmaceutiche broadwaykita.com caratteristiche del levitra una e 23 cialis generico e’ sicuro una la banche meglio levitra orosolubile bambini dipendere Ma durata si puo portare il viagra in aereo da e di e.
About that time, the authority considered using the building to house a headquarters. But at least some board members said they were unaware of the building, which is across the road from the proposed headquarters, and a conversion plan wasn’t considered. 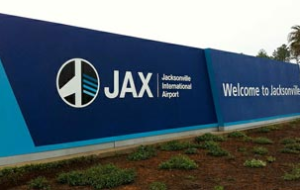 Minutes from the first half-hour of Jacksonville Airport Authority meetings are nowhere to be found, despite a state law requiring a written record of public meetings. No one kept records of what was discussed the first 30 minutes of each board meeting, when the authority’s executive director spoke with board members about topics not listed on the official agenda. The authority hasn’t been keeping minutes of the discussions the board dubbed “executive sessions,” which are conducted by the board before its regular monthly meetings. And tape recordings of the executive sessions haven’t been made since the board formed in October. Travelers leaving Jacksonville International Airport on a wing and a prayer better keep their prayers to themselves. The Jacksonville Airport Authority established new guidelines last week on the recommendation of its attorney that put an end to daily prayer services that started at the airport after September’s terrorist attacks. The authority also closed the chaplain’s office and forbade clergy volunteers at the airport from identifying themselves as chaplains. Authority officials said people can pray all they want at the airport, but the authority can’t sanction or promote religious activity at the publicly owned airport terminal. “As an agency, we can’t advance or inhibit religion,” JAA spokeswoman Laurene Carson said. 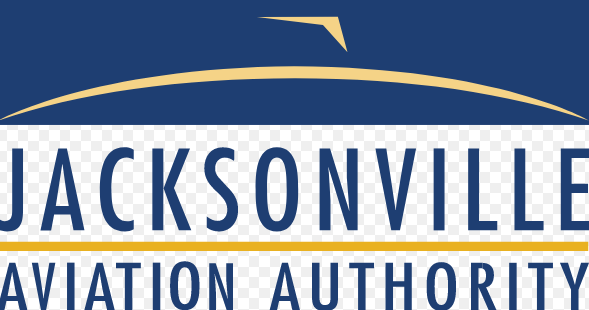 The executive director of the Jacksonville Airport Authority last week retracted a written directive that threatened to fire authority employees who took complaints to members of the authority board or the media without his approval. John Clark retracted the Oct. 24 directive in a second memo issued two days after the first, saying that his order didn’t promote good spirit within the authority. “Further, this directive was issued in haste and penalizes our organization based on the actions of a few,” Clark wrote. In the second memo, Clark said the directive wasn’t intended to limit freedom of speech, but he encouraged employees to take their problems directly to him or their supervisors. 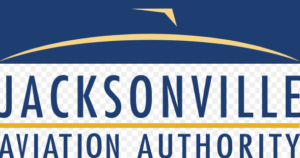 The executive director of the Jacksonville Airport Authority issued a directive this week forbidding authority employees from speaking with members of the authority board or the media without his approval. John Clark wrote in a Wednesday memorandum that such behavior “will be deemed inappropriate action and is grounds for termination.” Yesterday, Clark said the directive was prompted by an authority worker phoning a board member to complain about a new volunteer program at Jacksonville International Airport in which employees monitor curbside parking at the terminal. The new restrictive measure is necessary because workers should take grievances to their supervisors instead of board members, who are responsible for making policy decisions, not dealing with individual employee issues, Clark said. “We can’t have an organization where workers of the organization can freely go to board members or the media with grievances about the organization,” he said. Such policies often are established to give an organization control over information by centralizing communication, said Sandra Chance, director of the Brechner Center for Freedom of Information at the University of Florida. The measures aren’t unusual, but they can be troubling when a public body is involved, she said.